TAKE ADVANTAGE OF HUGE SAVINGS! All On-Demand Programs – All of our educational programs that have already been held become a part of our On-Demand Library. This is a great way for you to take advantage of huge savings on programs you may have missed! The Ultimate Practice-Building Library (HUGE DISCOUNT!!!) – Over 40 hours of in-depth, step-by-step training that you can’t get anywhere else! Robert Keebler’s Laminated Charts – IRA and Roth IRA Planning Charts, NIIT Charts and much more! *NOTE: This discount is not applicable to the following: The Personal Asset Trust Package, attorney or staff registration to live events, coaching with Without Boundaries Coaching or Philip J. Kavesh, and any monthly or annual subscriptions (such as Robert Keebler's Tax & Estate Planning Bulletin). The Cyber Monday Promotion is only applicable for purchases made on Monday, November 27, 2017. The discount will be taken upon checkout and are on the prices shown and are not applicable with any other discounts or coupon codes. No cash value. All sales are final. No refunds will be honored on purchases made between November 26-27, 2017. Over the past few months, I have purchased some products and services from The Ultimate Estate Planner and I will definitely continue to do so. The staff at Ultimate Estate Planner are such a joy to work with and the materials that have been provided to me have allowed me to help my clients. Thank you! I am grateful that Phil is willing to share his expertise and at such a reasonable pricing. He has saved me immeasurable time and headache. Keep up the great work that you provide the estate planning community! 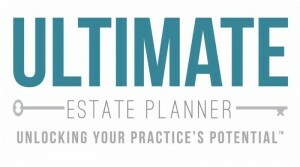 Thanks to the tools that we have purchased from The Ultimate Estate Planner, we have more than doubled our firm’s revenues! The tools and education that Phil has made available to us has been invaluable! I am thankful every day since meeting Phil back in Las Vegas in 1993. His systems, systems, systems are great! We are a 2-lawyer firm and we started utilizing Phil Kavesh’s Personal Asset Trust back in October 2005. In just under a year, we prepared over 200 PATs and 2006 was one of the highest grossing years in my firm’s 29 years of existence! Also, I saw the huge potential to update our clients’ trusts with Phil’s HIPAA Amendment and we made in excess of $350,000 just marketing this feature to our existing client database. Our clients absolutely love the features of the PAT and HIPAA Amendments we are now using thanks to Phil’s Living Trust Legal Document Form Package. I can’t thank Phil enough for showing me the way! I am proud to offer my clients what I consider to be the finest and most comprehensive estate planning services anywhere. My practice is based on innovative legal documents and the revolutionary seminar marketing packages developed by Phil Kavesh, the founder and President of The Ultimate Estate Planner. I have been an avid follower of Phil’s systems since the 1990’s and if you’re not using Phil’s materials, you’re clearly missing the boat!